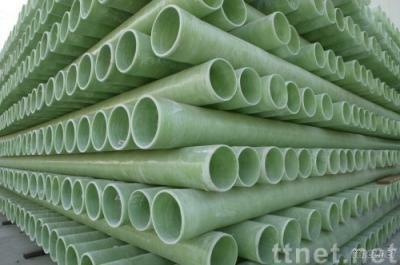 Beijing Fan Ya Dian Tong Industry & Trade Co., Ltd.
FRP pipe is based on resin, fiber and fabric as reinforcements. It is a kind of pipe that its winding process was controlled by computer. Products characters 1 High strength, it was used under the lane directly; There is no need to have concrete protection. So the speed of cable engineer construction can be improved. 2 Flexibility, it can bear the high weight pressure from the outside world. 3 Insulation, no corrosion of the electric, so it can be used for the single-core cable laying; It has the advantage of anti-corrosion, so it can be used in the place of high-temperature saline. 4 Flame Retardant, good heat resistances, no distortion though long-term use in high temperature of 130 degree. 5, sleek inner wall, there is no hurts to cable. There is an apron in the connector of two pipes. So it can prevent sediment coming into the pipe. 6 Simple constructions, the connection way was used different size within two pipes. 7 Light weight, Simple constructions.